US Secretary of State Mike Pompeo on Friday lambasted his predecessor, John Kerry, for meeting Iranian officials in back-channel talks and accused him of trying to undermine the Trump administration’s policy toward Tehran. Pompeo’s crack at Kerry comes a day after President Donald Trump accused the former secretary of state of “illegal meetings with the very hostile Iranian Regime” in a late-night tweet. “John Kerry had illegal meetings with the very hostile Iranian Regime which can only serve to undercut our great work to the detriment of the American people,” Trump said on Twitter late on Thursday. 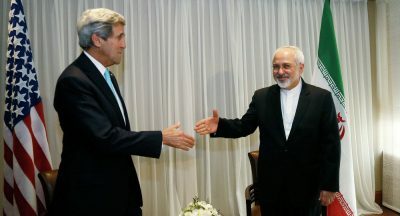 “Kerry stays in touch with his former counterparts around the world just like every previous secretary of state. “There’s nothing unusual, let alone unseemly or inappropriate, about former diplomats meeting with foreign counterparts… What is unseemly and unprecedented is for the podium of the State Department to be hijacked for political theatrics,” the spokesperson added. Conservative commentators immediately leapt on the act as evidence of “treason,” with some calling for Kerry to go to prison. “I’ve seen him brag about the meetings that he has had with the Iranian government and Iranian government officials. I’ve also seen reports that he is apparently providing, according to reports, advice to the Iranian government.